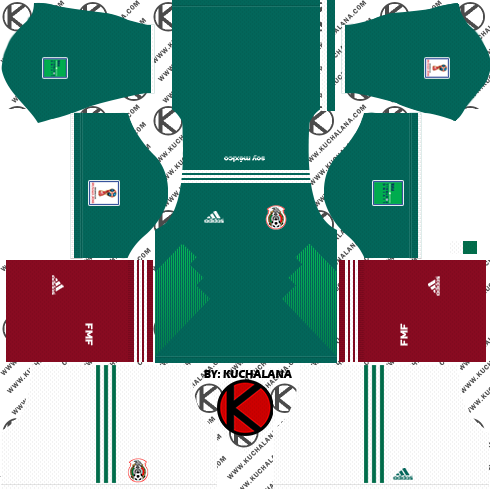 Get the Mexico 2018 World Cup Kit for your dream team in Dream League Soccer and FTS15. As we saw in detail, the new shirt is a shade darker than its predecessors, adding some touches of white and three diagonal strips to the sides that the brand of the three strips used in the 90s. 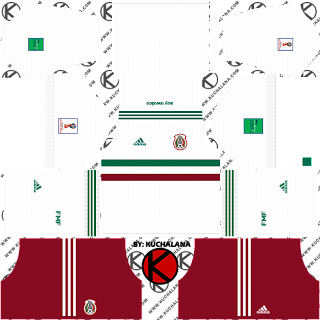 The phrase "I am Mexico "It perches on the top of the back. 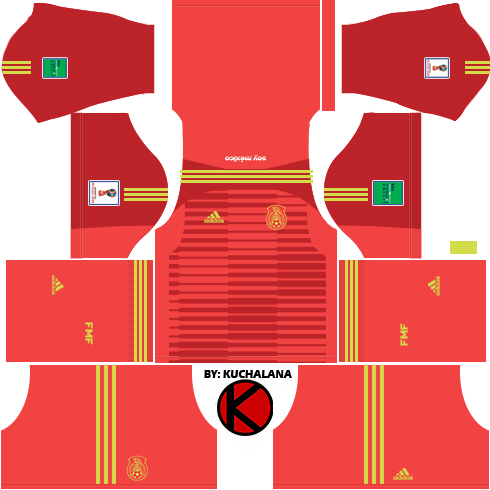 The uniform is completed with green shorts and stockings in dark red. A red goalie uniform with yellow details was also presented. 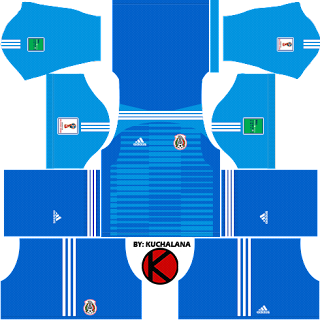 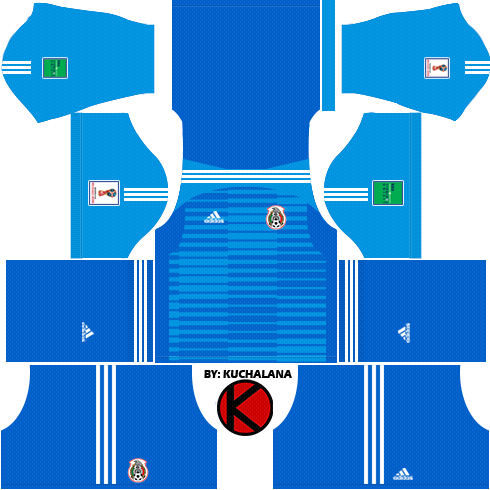 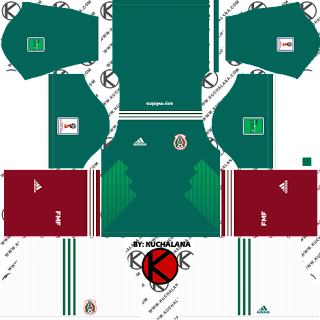 1 Komen untuk "Mexico 2018 World Cup Kits - Dream League Soccer Kits"